Middleburgh- Lois E. (Thorington) Daniels, 76, of Middleburgh passed away peacefully at her home on November 16, 2018. She is predeceased by her beloved husband, John A. Daniels II, who died April 9, 2018. Lois was born in Livingstonville, in the town of Broome on the Cold Spring Dairy Farm to Esther Lillie Thorington (nee' Cammer) of Prattsville, NY and Frank Alton Thorington of Livingstonville, NY. Lois is survived by her three sons: Donald (Linda) Daring, David Hamm, and John A. 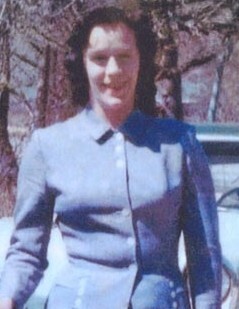 (Christine) Daniels III: a daughter, Lois (Joseph) Kasten; eleven grandchildren, eleven great-grandchildren, and many cousins, nieces, and nephews. In keeping with Lois' wishes, there will be no formal services. Memorial contributions may be made to Catskill Area Hospice and Palliative Care, Inc., 297 River St. Service Rd., Oneonta, NY 13820.